Early and middle years students can begin the careers guidance process with a lot of questions. They can also fall prey to some unhelpful myths. We decided to tackle some of the most common ones. As we’ve discussed in some of our previous blog posts, the question ‘what do I want to be when I’m older?’ is one that may feel impossible to answer. If your school starts careers guidance with students when they are 13 or 14, then it’s understandable that many young people will see their professional career as something which is still very far off in the future. Students actively engaging with their own career planning, taking ownership of their strengths and skills, and understanding where these might be applicable in a professional setting. Students being encouraged to consolidate their strengths, and address perceived weaknesses or skills gaps. Students benefiting from insights on future career prospects that are informed by relevant data and market trends. But whether it’s unhelpful anecdotes, peer pressure, family expectations, or simply their own worries and insecurities about the future, your students may begin their career research armed with some unhelpful myths and misconceptions. So we thought we’d tackle a few of them and offer some useful insights that will really empower your students. Let’s be clear from the start. There’s absolutely nothing wrong with your students knowing what they want to do when they enter the world of work. If you have a student who already knows that it’s his/her calling to be a nurse, or a teacher, then that’s great, and they should be actively encouraged to take the next steps to find the right training or post-secondary path to get them there. But for many students, the journey to finding the right career path is a lot more complex. As they proceed from middle year education and into the final years of secondary school, a young person’s hopes, dreams and ambitions will be constantly in flux, or may still be in the process of being formed. And that’s okay. The Ancient Greek philosopher Socrates once said “the only true wisdom is in admitting you know nothing”. If your students are starting their career journey from a place of knowing nothing about their future profession, that’s a perfectly respectable place to begin. If they need more guidance, there are a few insights you can offer them. Instead of asking students to consider “what do I want to do?”, encourage them to think about the question “what am I good at?”. A career path defined by a core personal skill set is likely to be far more rich, life-affirming and, perhaps most importantly, open to adaptation and change in later life. If your students are led by their strengths, skills and interests, then this can help to inform what subjects they choose in their later years of secondary school, especially if you are dealing with a curriculum where there is a greater or lesser degree of specialisation (e.g. IBDP or A-levels). This in turn will give them valuable insight into the right post-secondary options for them. Who knows? The right career path might present itself when they’re least expecting it. And whilst it’s true that moving jobs is not the same as drastically changing career path, there is general consensus that your students are entering a job market where reskilling and retraining are going to be fundamental to their future. Simply put, there’s no such thing as a job for life. Like Myth 1, there is an element of truth to this. Of course you should be encouraging your students to engage with career paths that match with their interests and passions. We can probably all point to people in our adult lives who ended up doing jobs where they feel like they’re not using their full potential, or will admit that “it’s not what I wanted to do”. By contrast, a career path about which your students are passionate is more likely to engender the necessary drive and ambition that can help them succeed in adult life. But the truth is a bit more complicated. 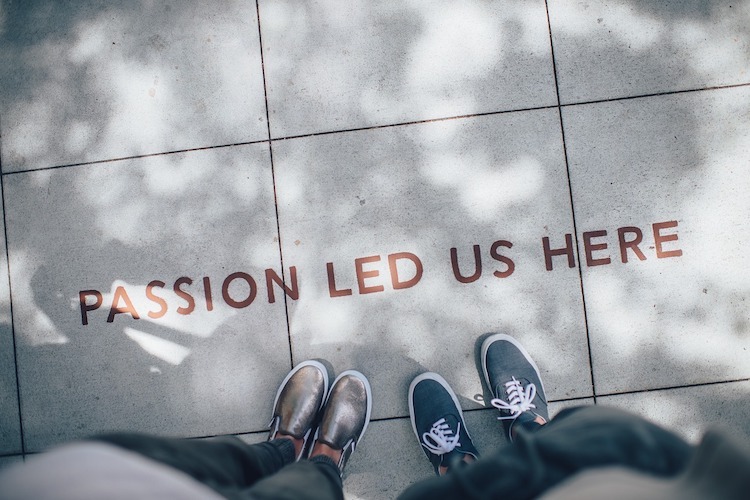 ‘Passion’ is actually a very difficult thing to define in a career path that, as we’ve already discussed, is likely to be subject to great change and fluctuation. In younger years, ‘passion’ for a subject is often rooted in a student’s skills or talent in a particular subject. But this is not always a guarantee of a rewarding career path, especially because some job roles require other ‘soft’ skills and attributes that go beyond raw talent. For example, you may be working with a student who is a talented writer, and considers themself to be very creative. Now let’s imagine they have ambitions to be a journalist. And while it’s true that they may enjoy writing, and take a keen interest in current affairs, a career as a journalist brings challenges that they may not be prepared for. This where ‘passion’ comes up against other factors. Logistics: Journalists work long hours, have to work to tight deadlines and may be required to travel at short notice. Additional skills: As well as being good writers, journalists are required to be good editors and proofreaders. They must also be able to manage competing deadlines, priorities and projects, and possess tenacity and drive in the face of obstacles. Long-term prospects: Journalism is changing radically as an industry. The popularity of digital and online content and the rise of social media has put ‘traditional’ journalism under threat. Journalism is a career path where freelance work and self-employment are now commonplace. What additional skills and experiences will I need to succeed in my chosen career? What opportunities exist for up-skilling, promotion and professional development? What will a typical ‘day in the life’ of this job/career path look like? Can I expect a fixed income? If not, is this a risk I’m prepared to manage? Will this profession exist in the same form thirty years from now? Finally, it’s worth reminding your students that passion for a job is something that can be nurtured over time. Let’s imagine our aspiring journalist finds themselves working in a writing or communications role for a global charity. Okay, it might not have been their original passion. But they may discover that it allows them to use their core skills and interests, whilst also offering them insights and opportunities their younger self never imagined. Once again, there’s nothing inherently wrong with students wanting to graduate into a job that offers them good salary prospects from the start. And if you have students who already know they want to go into a career in medicine, architecture or law, then they are probably on the way to commanding good starting salaries. But you may find yourself working with students who want to aim for certain career paths simply because they offer good long-term salary prospects. Some students may also be feeling pressure from parents or family members to go down a particular career path for this same reason. The problem is that fixating on starting salary and pay rates can divert students’ attention from some of the other factors we’ve already discussed. It’s important that your student’s decision-making is guided by salary expectations, but not led by them. It’s possible for your students to follow a career path or graduate job that offers good pay and benefits, but is poorly aligned with their professional skills, strengths and interests. This could increase the likelihood of high stress or low job satisfaction which could in turn ultimately increase the chance of your students quitting their job/switching career in the long-term. A 2015 Gallup survey found that people who use their strengths in their daily working life are three times more likely to enjoy a better quality of life, six times more likely to feel engaged at work, 8% more likely to be productive, and 15% less likely to quit their jobs. And more graduates are increasingly prioritising other criteria over salary and benefits. According to another study from Accenture, today’s graduates are more likely to accept a job based on factors such as organisation’s size (44% of graduates surveyed preferred working for a small company or start-up), a company’s sense of social responsibility, and the overall working culture. In short, most graduates are already demanding an approach to professional development that goes beyond a pay packet. As you guide the next generation of graduates, there’s no harm in encouraging them to expect the same! The desire to make themselves more employable is a common motivation for students to pursue an academic or vocational degree after secondary school. Research conducted by The Bright Network, which focuses on graduate talent development, found that 52% of graduates in the United Kingdom went to university to improve their career prospects, with 35% citing passion for their degree subject. Of course, some career pathways require students to undertake a training-based degree. These include Medicine, Veterinary Sciences and Architecture. But even the path into these professions isn’t the same in every country (more on this below). But many careers don’t. It’s important for your students to understand that there are degrees which may appear unrelated to a subsequent career path but can actually give students transferable skills and strengths that they can take into graduate life. This is especially true of degrees that don’t appear to directly lead to a guaranteed job. Let’s look at another quick case study. An ability to read and critically assess large volumes of information. An ability to work independently and to be self-motivated. The ability to manage your own deadlines. Experience using various methods of research. The ability to write and develop original theories and arguments. Experience of oral presentations and peer-to-peer learning. Believe it or not, the above qualities could be relevant in any of the following career paths. Education/Teaching (the ability to manage your own deadlines/work under pressure. Bridging the gap between academic study and professional development is not just a question of doing a related degree. As you build your guidance strategy, it’s worth encouraging your students to think about relevant internships and work experience that could help to improve their CV around school and university study. Note: If you’re working in an international school, and have students looking at applying to multiple university systems, it’s worth noting that some systems will encourage students to generalise during undergraduate study, before specialising at graduate level. For example, the US university system offers students the chance to study a range of subjects in their undergraduate degree. Students wishing to study Medicine or Law would be expected to attend medical school or law school after university study. Both students and parents can make the false assumption that consulting a career/guidance counselor can magically unlock the ideal career path. 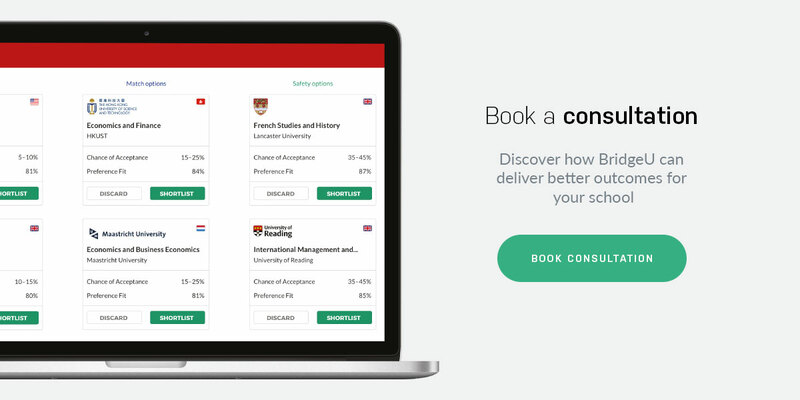 For secondary school students (especially international students) expectation management is crucial; this is especially the case when your students are looking to study at competitive and renowned universities. So when you start delivering your guidance curriculum, your students must understand the importance of taking ownership of their own career development. From strategising their skills in earlier years, and actively researching and engaging with university options later on, your students must always approach their development with the understanding that their future is in their hands. So How Can You Combat Harmful Myths? What the five myths we’ve outlined above have in common is that they all assume there’s one single factor that can define a career path. From the word ‘go’ it’s important your students know that this just isn’t true. All of the factors we’ve discussed play a role in your students’ decision-making process; the most ideal job will combine passion, ambition, a good salary and will hopefully be a natural extension of their pre-existing interests and subject choices. But a good career strategy is fundamentally powered by honesty, self-reflection and compromise. Your younger students must prepared to be proactive and adaptable in a job market that will change radically. Their future really is in their hands.